Using a mere 45W of power, the Image Spot LED projector provides an amazing amount of light output from a versatile and compact design. The fixture’s crystal clear optics ensure bright imaging in virtually any environment, and enable vivid gobo projection up to 40 feet (12m) away! Image Spot is available in both IP40 and IP65 models, allowing it to be used indoors and outdoors, and an Image Spot HT model is available for installations into areas with high ambient temperatures. Please note that Image Spot does not ship with a lens. Choose from the available narrow, medium and wide Lens Optic Accessories when ordering to achieve the imaging or beam spread your project requires. Use the Image Spot to project any Rosco pattern – from the world’s largest library of standard gobo designs – or, project a custom gobo with a specific image, logo or message. The Image Spot is ready to accept steel, black and white & color glass gobos, and even thicker Effects Glass gobos such as Image Glass and ColorWaves. The Image Spot gobo cassette also accepts Rosco Permacolor dichroic glass filters for long term color effects, correction or enhancement. Available in two different variants – an IP40 model for indoor use and an IP65 model for outdoor use – the Image Spot offers the versatility to create spot-lighting or project gobos everywhere those effects may be required. An Image Spot HT model is also available for installations into areas with high ambient temperatures. Control the output of the Image Spot using its on-board dimming controls or by connecting the Image Spot to a DMX control device for remote intensity control. The IP40 model connects to DMX via standard RJ45/Cat5 cable, while the IP65-DMX unit connects via a factory-installed, exterior-rated Cat5 cable. Please note that the Image Spot does not ship with a lens. 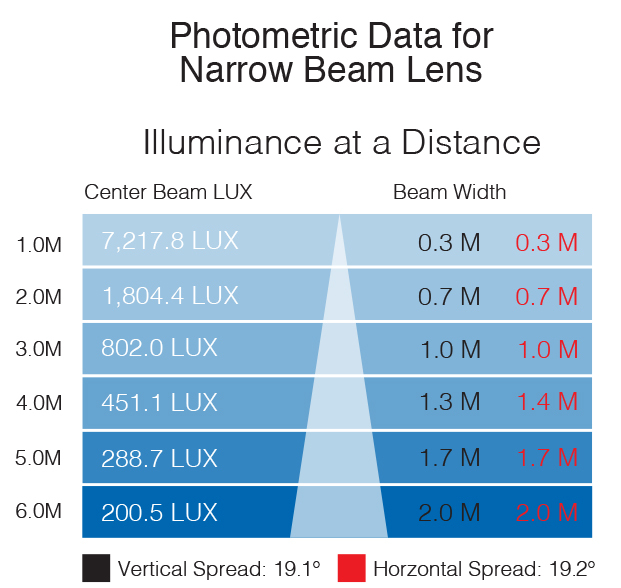 Make sure to choose an Image Spot Lens Optic Accessory when ordering to achieve the beam spread your project requires. 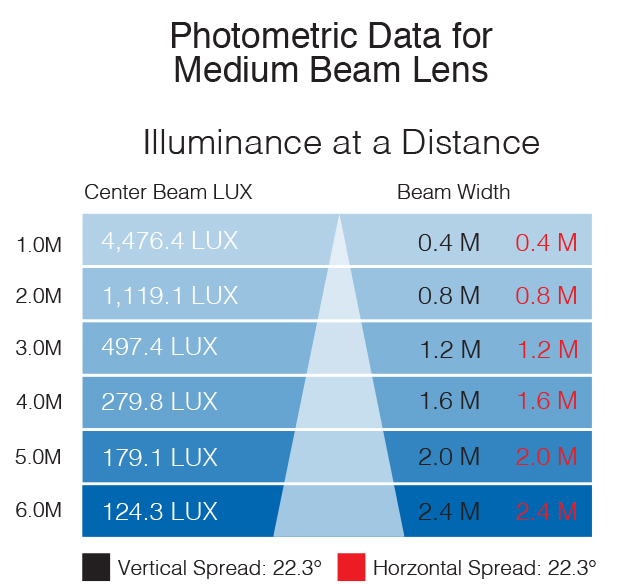 Lens options include: 19°, 25° and 30°. 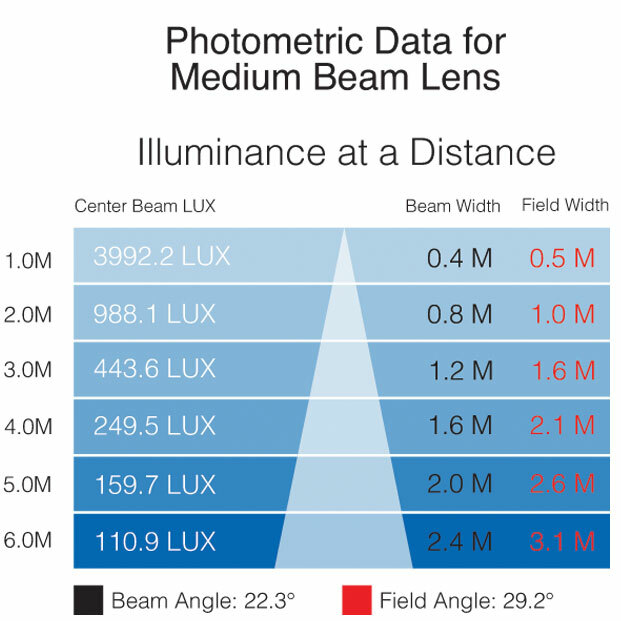 Click on Photometrics tab above or download the Image Spot Photometrics Data Sheet for more information. For optimum image quality and performance, use Rosco Image Spot Gobos and Permacolor Filters, which feature custom bezels that enable a secure fit inside the Image Spot gobo cassette. 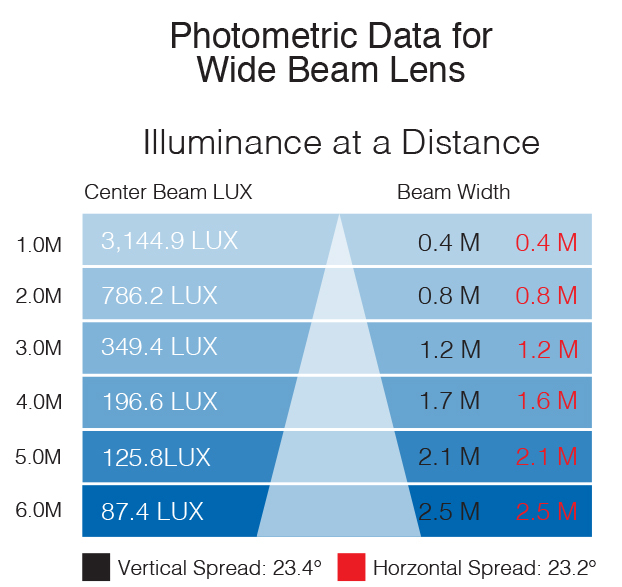 Photometric data for both the 3000K and 5500K Image Spot LED gobo projectors. A matching IES data file link can be found underneath each photometric chart.